Manage the entire legal transaction process from diligence to closing. Our centralized solution allows attorneys to build signature blocks, pages, and packets; send and track for each signatory— automatically. Internal and external parties can also communicate directly within the tool, alleviating the possibility of miscommunication by tying communication to the relevant document. 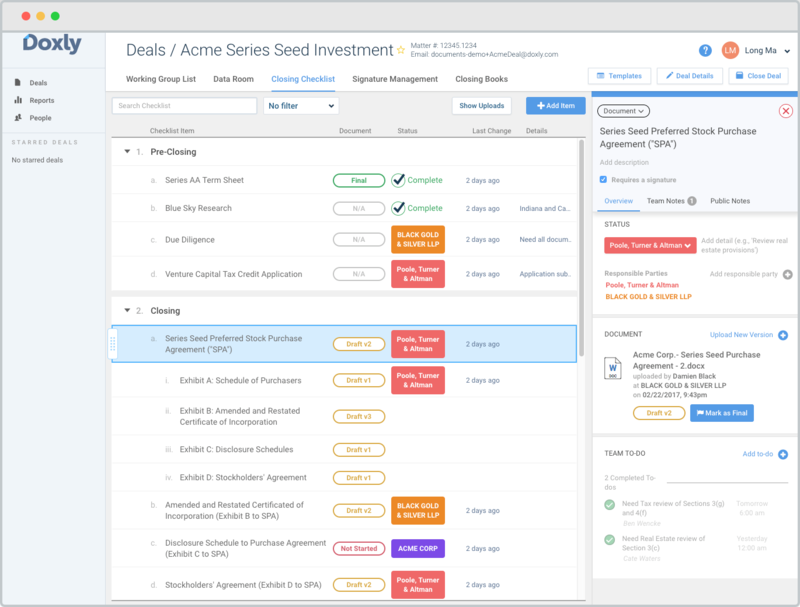 Manage your closing checklist and have a real-time view of your documents throughout each stage of the deal process. Collaborate on documents and easily track versions and changes. Build and collect dynamic signature pages for each signatory. Create closing books for distribution to the parties upon closing with a few simple clicks. 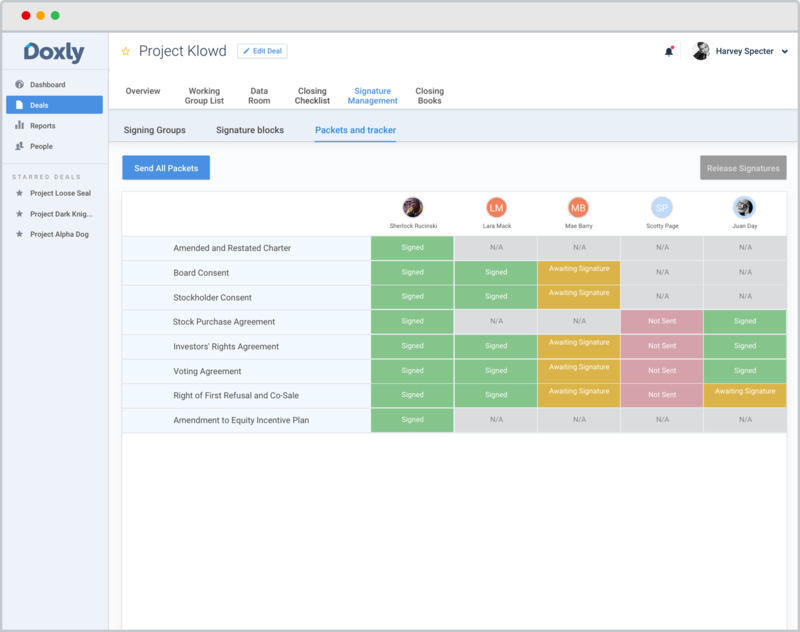 Monitor post-closing deliverables with Doxly’s workflow tools. Gain instant insight into how deals are staffed and understand and manage attorneys’ bandwidth. Unlock valuable data from your transactions with customizable reports that analyze deal term trends. Leverage practice performance metrics, including number, size and type of deals closed, for marketing and business development purposes. Maintain a complete record of the transaction for audit and insurance purposes. 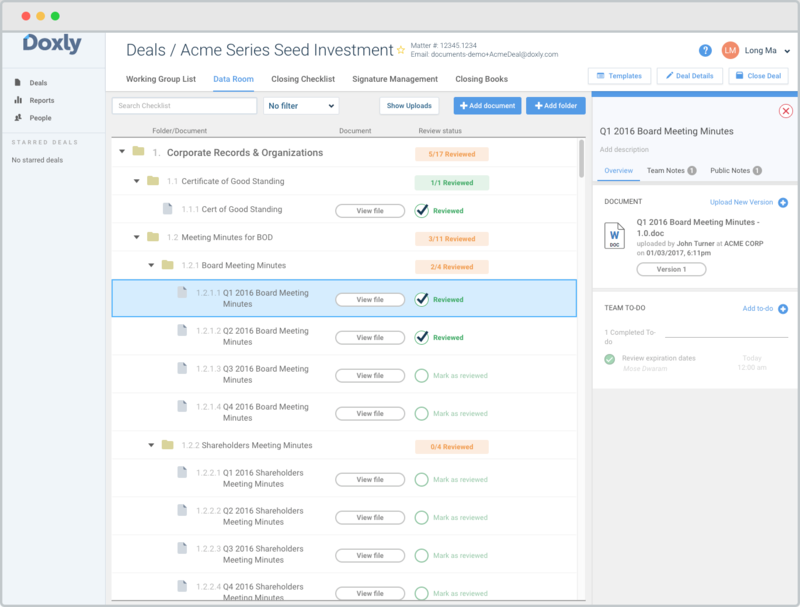 Collect and manage all diligence documents for each deal in a centralized data room with built-in communication and workflow tools. 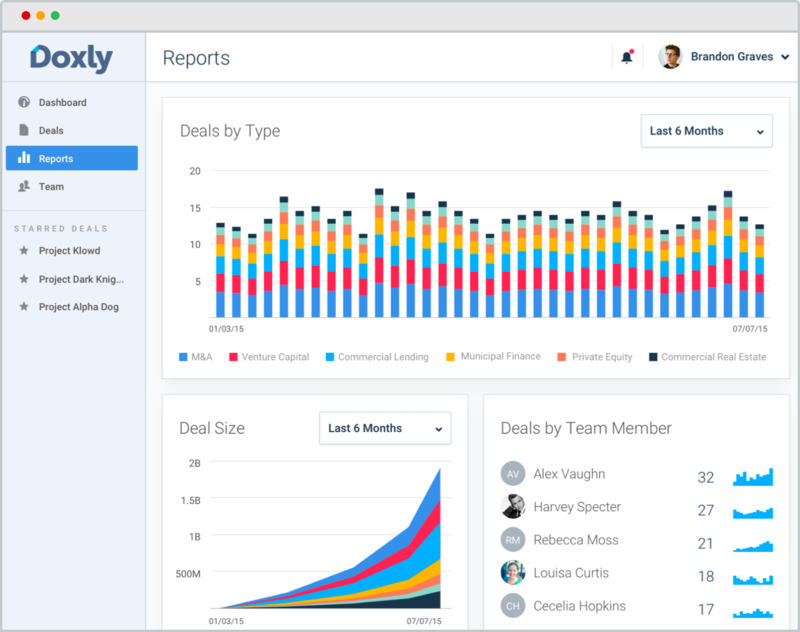 Doxly provides an organized and customizable diligence checklist and workflow, collaborative document storage and management, and enterprise-grade security to help you quickly and efficiently complete due diligence.